Architecture: Demolition and debate downtown | Arts and Culture | Style Weekly - Richmond, VA local news, arts, and events. The elegant, 101-year-old Ninth Street Office Building (formerly Hotel Richmond) is directly across the street from Capitol Square. It was designed by Carrere and Hastings (the New York group that produced such other gems as The Jefferson Hotel and the New York Public Library). A stalwart anchor at the corner of Grace and Ninth streets, the granite and brick landmark provides a foil for mid-19th-century St. Paul's Episcopal and St. Peter's Catholic churches. The former hotel's glorious lobby, with marble staircase and stained glass skylight, is one of the city's great public rooms  albeit in need of restoration to its inherent glory. 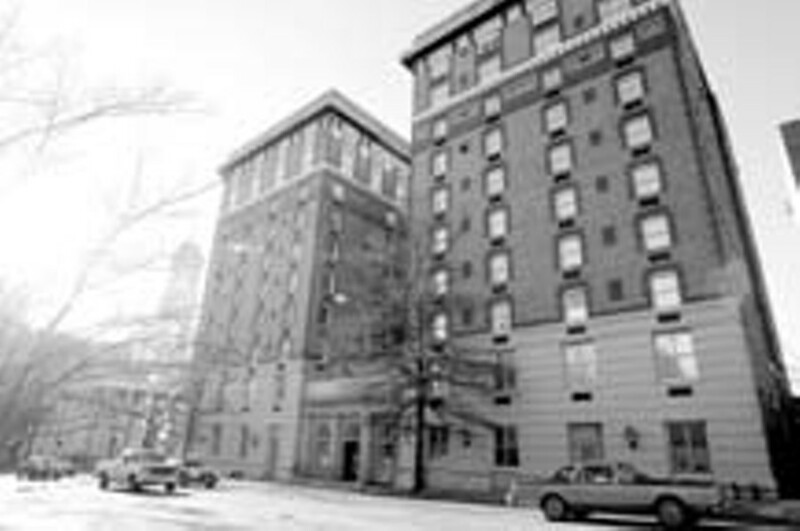 The 1911 Murphy Hotel, now the Eighth Street Office Building, was designed by John Kevan Peebles, who also designed the Virginia Museum of Fine Arts and the wings of the State Capitol (now under restoration). This state office building boasts the most exuberantly classical exterior elaboration of any Richmond building. Historic preservation has been wholeheartedly embraced as another glorious Richmond landmark, the John Russell Pope-designed Branch House, begins a new chapter this spring at the Virginia Center for Architecture. The former mansion at 2501 Monument Ave. is being converted by The Virginia Society of the American Institute of Architects. A public open house April 3 will feature the inaugural exhibit, "Frozen Music." This show features Gil Garcetti's photographs of Frank Gehry's new Disney Concert Hall, a knockout complex that has made downtown Los Angeles a Mecca for contemporary architecture aficionados. The maestro, Gehry himself, speaks here April 16 as part of the Richmond Forum series at the Landmark Theater.  Edwin Slipek Jr.
Edwin Slipek Jr., Style Weekly's architecture critic for 13 years, teaches art history and architectural history at VCU and at the Maggie L. Walker Governor's School. He is a contributing author of "Buildings of Virginia" (Oxford University Press) and has curated a number of exhibits examining local urban design and architecture.